Hand-dyed 75% wool/25% nylon sock yarn. 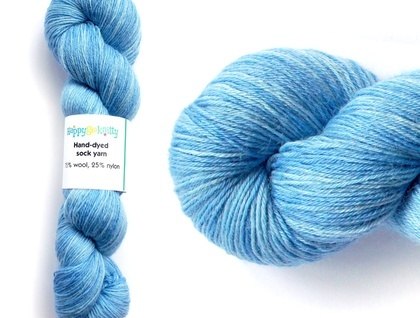 A mix of wool and nylon is the traditional way of spinning a hard wearing sock yarn. It is spun with a high twist which makes it suitable for socks, but it can be used for cuffs, mittens, baby clothes, shawls or any kind of 4ply knitting.